HAIVISIO is an ambitious Coordination and Support Action aimed at enhancing visibility and awareness of the results generated by eHealth, Active Ageing and Independent Living projects, supporting community building around these results, through a series of communication and synergy fostering activities. One of the core activities included in the HAIVISIO work plan is the organization of a training course aimed at giving the targeted consortia the necessary know-how and tools for an effective communication of the benefits of the project results, taking into consideration the different segments of the target population and the specific kind of messages to which these are likely to respond. The training course is organized in five sessions. Two of them are sessions with the physical presence of the attendees, and the rest are on-line sessions. use social media (Twitter, Linkedin, Facebook networks) for promotion and raising interest and awareness of their project results. Fulfill the contractual obligations in terms of communication and dissemination strategy. The session will focus on the main outcome of the dissemination activities and the last phase of the European project: the exploitation of results. The goal is to provide an inside view of the importance of the exploitation phase of the project, in the frame of the European activities, but also in the outside market. Different exploitation strategies for R&D results generated through projects will be presented. The relation between exploitation and impact will be discussed. The importance of valorisation of results will be addressed, highlighting ways and methods to achieve it. Tips will help as tools on how to implement the different concepts, by providing convenient, easy-to-use information, from a very practical point of view. The main message is that exploitation is not a last barrier to overcome to finish the contractual obligations, but on the contrary, an opportunity and that training for exploitation will help partners (research, industry, users) in successfully bringing their project results to the market. 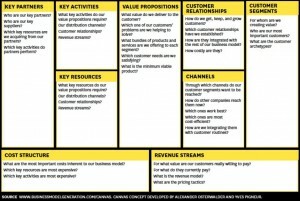 The Business Model Canvas (http://www.businessmodelgeneration.com/) is an intuitive methodology to design Business and Market Scenarios. 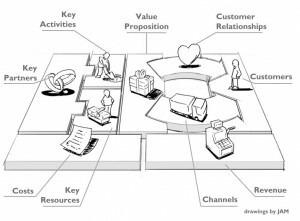 It is a very recent methodology (2004 - 2010) that supports graphically the building of business models. The practical application for complex projects - involving ongoing development at the same time than the business model is built– requires different iterations and the completion of the model by parts. This allows the exploitation team to complete the different parts by prioritizing them over the time line. 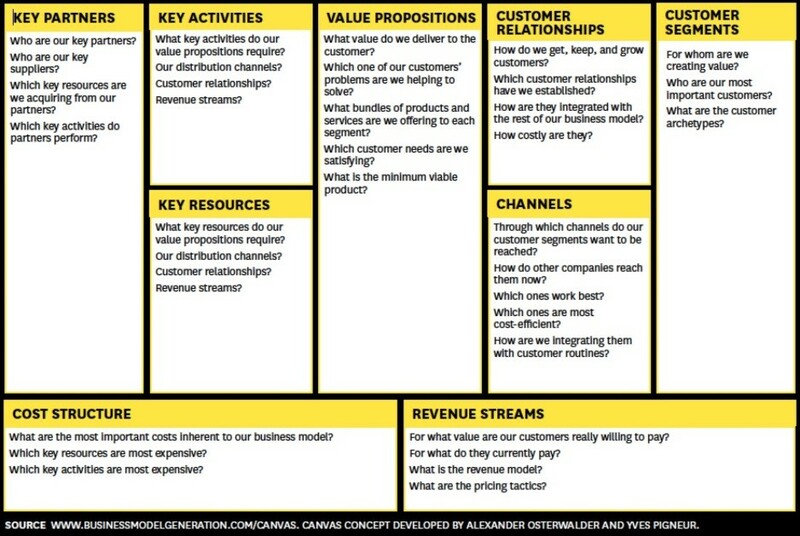 This methodology divides the Business Model in blocks, translating the main business concepts in understanding language, without oversimplifying the complexity of how business model and market scenarios work. 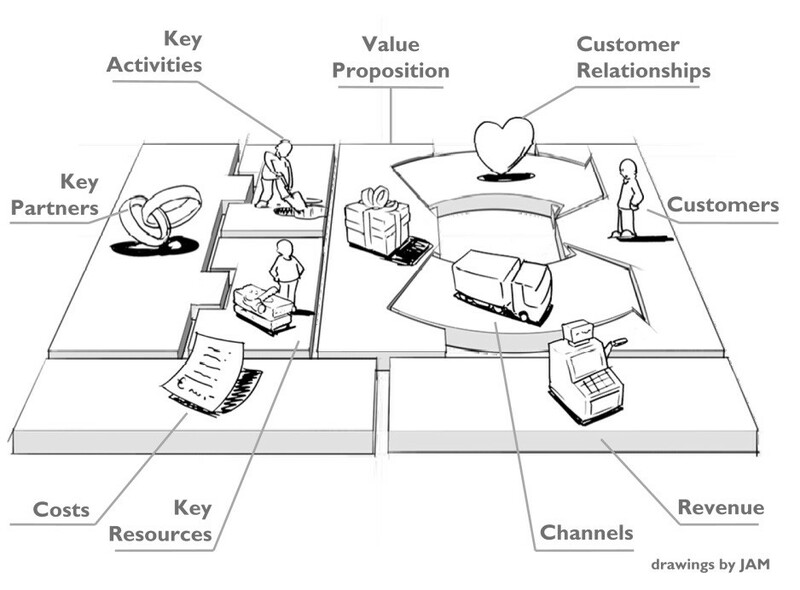 The blocks or parts of the Business Model Canvas are Key partners, Key Activities, Key Resources, Value Proposition, Customers, Customer Relationships, Channels, Costs and Revenue. The advantage of this methodology is that it does not require previous knowledge in Business Models and the experts in the offered solution (the consortium) can actively participate. Another advantage is that the use of this methodology facilitates the starting point for business building up even from scratch. This methodology makes all partners and individuals willing to participate actively in the business model creation, to have an easy tool for collaborative working. This seminar will present the template that can be used for partners in a project to collaborate and make their own business models.